You may have heard that companies with diversity and inclusivity initiatives perform better than companies who don’t, or who are only meeting the bare minimum required by law. Organizations that embrace diversity and foster inclusivity do generally outperform their competitors who aren’t, but it’s difficult to attach numbers to prove those particular initiatives are what’s driving performance. So, if you’re looking to ramp up your organization’s D&I efforts, making the case to your boss will be rough without a plan to quantify something meaningful. But measuring the return on investment in D&I isn’t impossible. We’ve got the math below to help you get started. Diversity is easy to measure. How many people in your office identify as or belong to a particular group? How many have a certain skill, perhaps in technology or languages they speak? 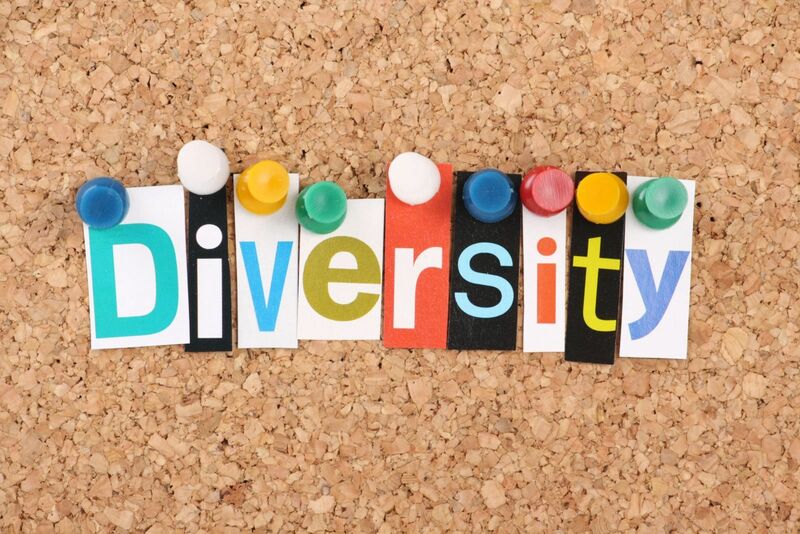 Diversity, from the standpoint of the workplace, has two broad categories: inherent (race, age, nationality, gender) and acquired (literacy, language skills, veteran status), and both are important for adding value to an organization. In general, inherent diversity brings a multitude of perspectives to the table, and acquired diversity brings a wider range of skill sets to a team. That is to say: you can have a diverse team, but you won’t see the benefits of that team without fostering an environment of inclusion. For example, the Harvard Business Review Center for Talent Innovation found that 37% of African-Americans and Hispanics and 45% of Asian-Americans felt they “needed to compromise their authenticity” to conform to company standards. The study also found that women in STEM (science, technology, engineering, and math) fields felt pressure to “act like a man” because it’s advantageous in receiving promotions. In a landscape where the generations entering the workforce are increasingly looking for more than “just a job,” diversity without inclusivity is a big expense for a company and for employees. For example, how productive is a meeting of ten people where only two are doing the talking? Right, nobody wants to sit in that meeting. But if your organization has employees who are compromising themselves to fit in, every meeting for them might feel like they don’t get to talk, or won’t be heard if they did. Inclusivity is paramount for a successful D&I program, but the tricky part is measuring inclusivity. So while a workplace might be diverse on paper, to see the benefit, you’ll need an effort to push openness and build a culture that embraces people’s diversity. This’ll work best if it comes from the top down, too. Now that we’ve got a grip on what diversity and inclusivity looks like, how do we measure it related to return on investment? This is perhaps the most direct way of putting a dollar amount on D&I initiatives. Ideally, if diversity and inclusion initiatives are successful, you will see employee retention go up and turnover go down. This would also uncover if your D&I initiatives are heavy on the diversity and lacking on inclusion, where you would see no change—or worse, an increase in employee turnover. If you’re already conducting regular employee and customer satisfaction surveys, this metric will be easier to tie to a D&I Program. The concept is that happier employees will provide better service to customers, and make customers happier in the end. Ideally, as employee satisfaction goes up, so does customer satisfaction. An easy way to put a number on employee and customer satisfaction is by using the Net Promoter Score (NPS). This survey asks respondents to answer the question, “How likely are you to recommend our product/service to your colleagues?” for customers and, “How likely are you to recommend our company as a place of work to your colleagues?” for employees. Respondents answer on a scale from 0 to 10. Answers 0 to 6 are considered detractors, 7 to 8 are passives, and 9 to 10 are promoters. NPS is measured on a scale from -100 to +100, so the total can be negative if you have more detractors than promoters. However, the goal is to see an increase over time. Customer and employee NPS should be measured a couple times a year, so if you haven’t measured NPS in the past, take the time to measure it before you start a D&I program. Then, with success, you’ll see an increase over time as initiatives take effect. D&I programs on the surface may seem like something just to comply with federal laws or to reduce the risk of rampant negative PR. But companies who embrace diversity and inclusion best practices see a real return in the investment with increased employee and customer happiness driving innovation and growth. At ManoByte, we grow businesses in more ways than one. If you’re interested in seeing how we can help grow your business, click below to schedule a free growth assessment with us.